Former Managing Director of the BVI Ports Authority (BVIPA) Claude Skelton-Cline will be serving as the Chair of the Cruise Tourism Committee, and he has been given a $98,000 consultancy contract to, among other things, lead negotiations for new Cruise Line Berthing Agreements. The six-month contract will see Skelton Cline’s consultancy—Grace Consultants—leading negotiations and facilitating a seaplane tour excursion initiative. Skelton-Cline would have played a major role campaigning for the now-Government during the election campaign earlier this year. As part of his engagement, Skelton-Cline will also play an advisory role. “Responsibilities of this consultancy include formalising and leading the strategic planning process, focusing on short- and long-term initiatives, translating strategies into actionable and quantitative plans; facilitating the execution of the strategy by working collaboratively with ministerial leadership, special committees, private sector, regional and international bodies, and consultants to support execution of key initiatives,” the Government statement further read. 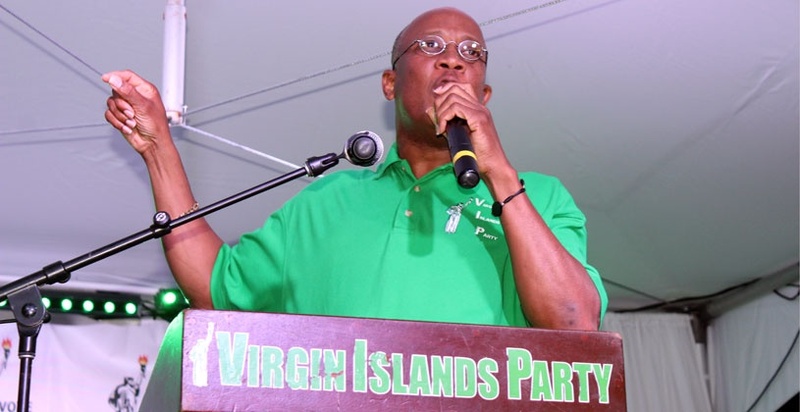 Skelton-Cline served as the Managing Director of the BVI Ports Authority (BVIPA) until 2016, when the renewal of his contract was rejected by the former National Democratic Party (NDP) Government, despite recommendation for continuation of tenure from the BVIPA Board. Back in 2008, Skelton-Cline was the coordinator of the controversial ‘Virgin Islands Neighbourhood Partnership Project’ through his company ‘Claude Ottley Consulting Ltd’. That project was started under Premier, Hon Andrew Fahie who was then the Minister of Education. Information is that, over $570,000 was paid to Skelton-Cline’s company without much of the stipulated works under the contract being done. Further, information stated that, performance was either non-existent or lacking in a number of areas stipulated under the contract. What's all the complaints about. I think this was expected. More to come stay tuned. Thats a start. 1000 days have not yet passed so thats a step in the right direction, i would say. Back to business as usual. Such a shame. What hold does this person have over the political dinosaurs that have a strangle hold on this country. If this wasn't so disgusting and sad it would be funny. We just voted out one clan and these guys campaigned hard against NDP government for this kind of stuff. So are they still looking into where the Pier Park money went or no? Might as well they had give him a ministry. Premier Fahie you start with Willock now this? Just remember the BVI people will stay woke. Bvi people long gone to sleep for this is nothing new. Claude deserves that and so much more. He is the best person to articulate and negotiate here in the BVI. The Best! So all you empty drums keep making noise. I agree with you 100%... People take him wrong because he is Passionate about whatever he does! People can't handle his style that's all, but if you just get to know the man, he is really a cool dude! And what are his credentials? This is really a slap in the face to all who believed that this government would be different. Same damn thing!!!! Guess it pays to be a supporter. SMH - I thought we changed that kind of business with the elections. Yes Brother Skelton, you worked hard for your money so they better treat you right! Same sh** different day. So i see all them who was campaigning against NDP hard, they all have or getting big job....... thing to talk. Thats what you all voted for. I hope they mashup the whole damn country and no party or candidates contest the next election. That will teach you all a lesson. So true. I keep saying, vote individuals NOT party. They didn’t listen. More to come. Did you even think before you wrote that crap? I've been dying to say this !!!! .... AYO PUT THEM IN !!!! Deal with it !!! Tell me this is a joke. Consulting on all those subjects! Not labeling any one ; but History has a way of repeating itself . We in the BVI tend to forget too quickly . ( we pet “lovers” train our animals BUT at the end of the day ; with all the “tricks “ they are taught ; THEY are still animals . This is his second contract with Andrew i wonder if he will deliver anything this time, and what is the status of his pending lawsuit against the government? Thought this was conflict of interest in this situation? In the BVI is who you know! Tell you guys each governmnet is the same!